So I’m really into these made up food holidays this year. They crack me up. We’ve had National Tempura Day, Hot & Spicy Food Day, for some reason there’s a Strawberry Ice Cream Day (in January? ), and maybe you celebrated Popcorn Day and Cheese Lovers Day over the weekend. The month is just chockablock full of reasons to eat. Not to be outdone, today is … get this … National Blondie Day. Yep, a WHOLE DAY dedicated to a non-chocolate brownie. Hilarious! While I do love a blondie, I have to think a lot of people are disappointed when they receive a chocolate-less brownie. 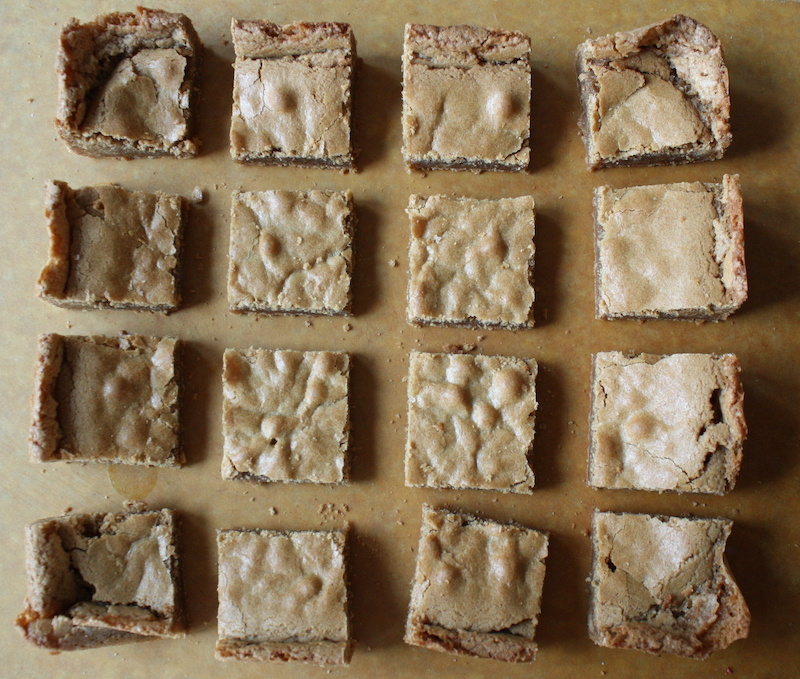 Regardless, I’m going to forge ahead on this one with Cinnamon Toast Blondies.